Significant transformations in the life sciences are happening here each and every day. North Carolina is home to more than 700 life science companies and 2,200+ service providers that support our thriving life science community. From global multinationals such as Pfzier and Biogen, to home-grown companies such as Rho and G1 Therapeutics, the spectrum of success extends through a variety of specialized sectors. Learn more about the accomplishments and milestones of the companies that have made North Carolina a global life science leader. bluebird bio, a publicly traded Cambridge, Mass., gene therapy company founded in 1996, is upfitting a newly purchased 125,000-square foot factory in Durham. Highly skilled workers there will produce lentiviral vector, a critical component of the company’s integrated product platform encompassing gene therapy, cancer immunotherapy and gene editing. The company has already received Breakthrough Therapy designation from the U.S. Food and Drug Administration for Lenti-D, its potential treatment for a rare and life-threatening neurological disorder in boys. Durham is the company’s first North Carolina site, and its first company-owned manufacturing facility. 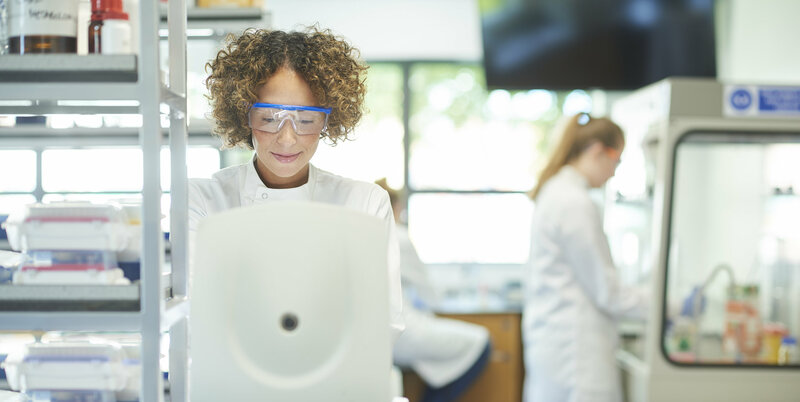 It is especially significant that this company, like other major biomanufacturers, deems N.C. as the “go-to” place to do this highly specialized work. Bluebird, which has approximately 500 employees and a market cap around $9.5 billion, also has operations in Seattle and Switzerland. In early May 2017 Durham-based Parion Sciences has granted exclusive worldwide development and commercialization rights to its potential therapy for dry eye disease to Shire, a global pharmaceutical company. The deal has a total potential value of up to $535 million. Parion, a 1999 spinout from the University of North Carolina at Chapel Hill, is a development-stage company whose research focuses on restoring patients’ innate mucosal surface defenses in epithelial tissues. Just two years ago Parion sold rights to two of its experimental cystic fibrosis drugs for as much as $1.2 billion, plus royalties. That agreement was with Boston’s Vertex Pharmaceuticals, a publicly traded company that has become a leader in the fight against CF. The North Carolina Biotechnology Center provided early funding to help support some of Parion’s initial research. NCBiotech provided a $206,000 Institutional Development Grant to UNC in 1995 and a $100,000 Collaborative Funding Grant in 2009. That was followed by a 2012 Industrial Fellowship Grant to enable a post-doctoral scientist to serve a two-year fellowship working in Parion’s labs. The company has also received grant funding from the National Institutes of Health and Cystic Fibrosis Foundation Therapeutics. Parion's workforce has grown to 20 employees. G1 Therapeutics, a clinical-stage oncology company based in Research Triangle Park, became a publicly traded entity May 17, 2017 with a $108 million initial public offering of seven million shares of stock priced at $15 a share. G1, a spinout from the University of North Carolina at Chapel Hill, is developing novel therapies that address significant unmet needs in people with various cancers. The North Carolina Biotechnology Center bootstrapped the company with $500,000 in loans in 2011 and 2012. G1 calls those loans “crucial” in positioning the company to subsequently raise $95.5 million in venture capital. 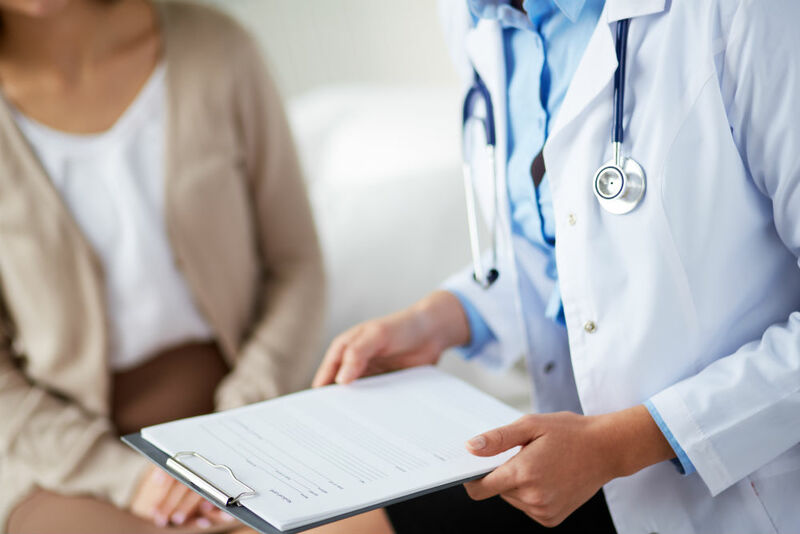 In late 2016 the company announced a partnership with biotech pioneer Genentech on a clinical trial involving patients with small-cell lung cancer who are receiving chemotherapy. G1 is also developing two drugs to combat breast cancer. 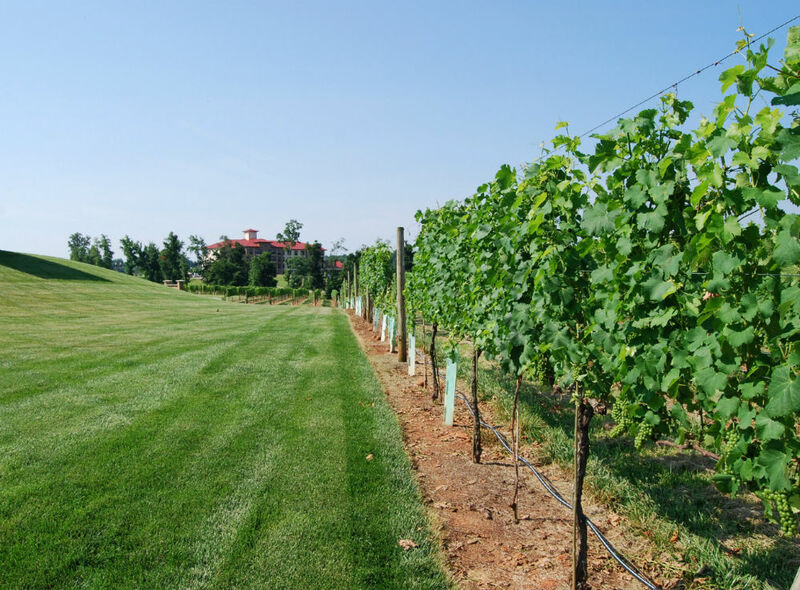 North Carolina’s groundbreaking AgTech Accelerator in Research Triangle Park announced a $10 million commitment in early 2017 to start a plant fungicide company, Boragen. That company is developing a novel boron-based synthetic chemistry platform, initially focusing on next-generation fungicides intended to mitigate pest resistance and allow for more-sustainable farming methods. The company is headquartered within AgTech Accelerator’s facilities in Alexandria’s RTP campus. The North Carolina Biotechnology Center has worked closely with Alexandria on the AgTech Accelerator. There are now about 60 ag biotech companies in the Triangle alone, employing more than 6,000 people. Novozymes is a global leader in industrial enzyme development and production, using bioinnovation to create more than 700 products used across 40 industries in 130 countries. The North American headquarters was established in Franklinton, N.C. in 1979. In 2014, a new research and development facility led the expansion into Research Triangle Park. The $36 million investment created 100 new jobs and supported bioagricultural research efforts in the BioAg Alliance, a partnership with Monsanto (now Bayer). The alliance dedicates research to global biological solutions for agriculture. 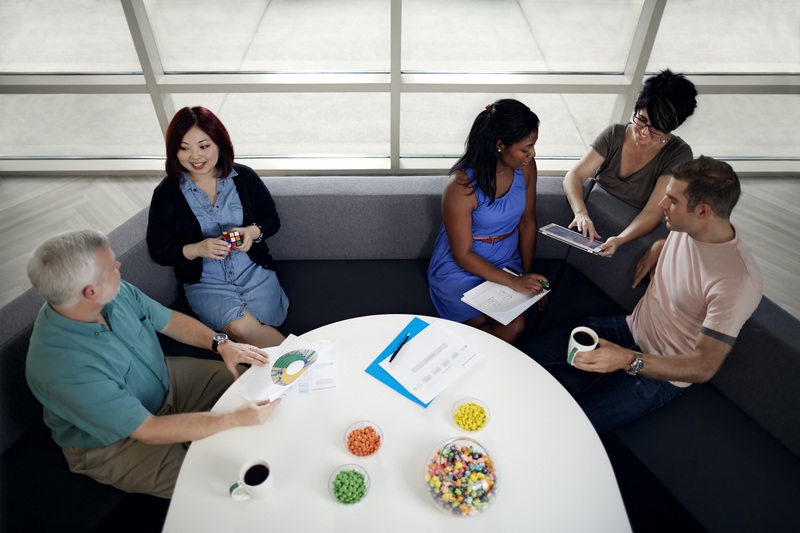 Today more than 500 full-time Novozymes employees call North Carolina home, working from three locations. Pfizer is making strategic investments in North Carolina’s gene therapy and biomanufacturing expertise to prepare for a new paradigm in disease prevention, diagnosis and treatment. It’s expanding its 230-acre, 450-employee vaccine-manufacturing plant in Sanford with a $100 million investment in gene therapy. It’s partnering with the North Carolina Biotechnology Center in a $4 million academic fellowship program in gene therapy for postdocs around the state. It’s purchased, at up to $645 million, Bamboo Therapeutics, with technology from UNC at Chapel Hill. And Pfizer is also investing $190 million to add sterile injectable capacity at its campus in Rocky Mount. 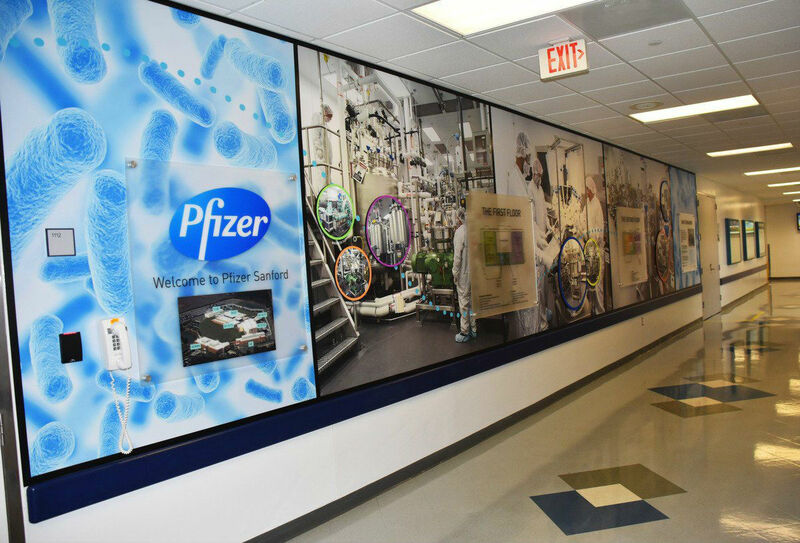 Pfizer is capitalizing on North Carolina’s early and continued investments in biomanufacturing training, and more recently, gene therapy technologies. Biogen – one of the world’s first global biotechnology companies and, after 23 years, the largest in North Carolina – recently deepened its investments in the state. 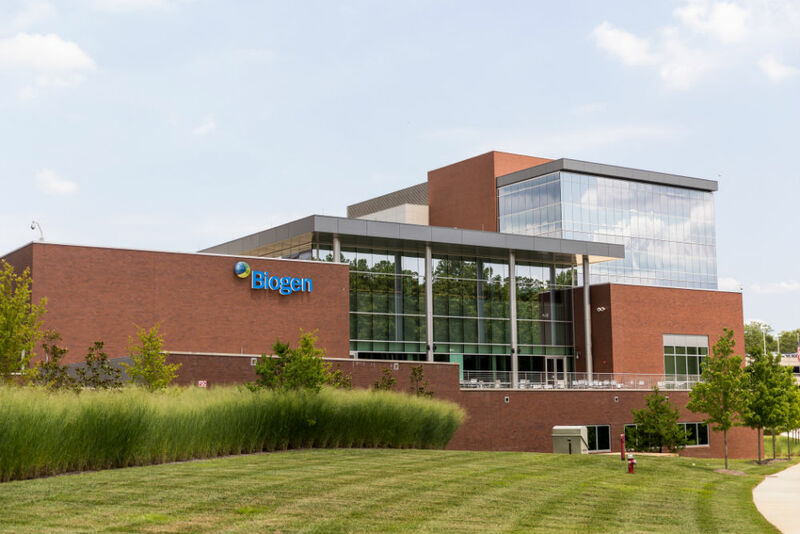 With a $5 million upgrade to its newly acquired former Eisai pharmaceutical campus in Research Triangle Park, Biogen added a 150-employee Global Business Services Center to its existing 1,450-strong workforce. Biogen, a global leader in complex therapies for multiple sclerosis, spinal muscular atrophy and other debilitating diseases, has invested more than $125 million in its RTP campuses just since 2016. 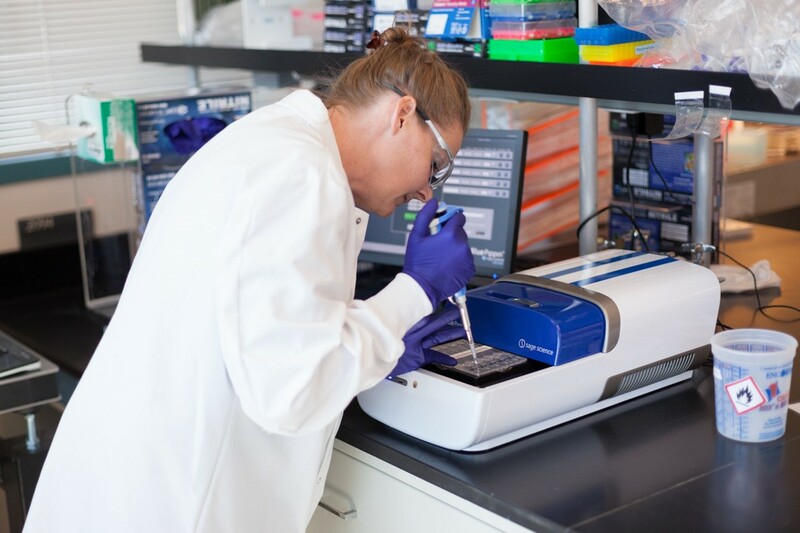 Drawing on N.C.’s highly skilled biomanufacturing workforce, Biogen has also invested some $25 million to open a highly specialized oligonucleotide synthesis facility to produce the new type of drugs known as antisense oligonucleotides. Rho was founded in 1984 by Ron and Mary Helms, stemming from a vision to bring highly targeted, specialized clinical research results to pharmaceutical and biotech clients. Today, Rho employs more than 400 clinical research experts, most of them relocating into the company’s new 159,000-square-foot headquarters in Research Triangle Park. About 40 percent of Rho's business comes from the National Institutes of Health. And the privately held company’s services are equally valued by the full range of pharmaceutical companies, from startups to large multinationals. Rho is one of North Carolina’s 150+ contract research organizations that jointly employ more than 24,000 people. With a CRO community generating more than $30 billion in annual revenue worldwide, North Carolina, as the birthplace of the industry, continues to lead its growth and evolution. 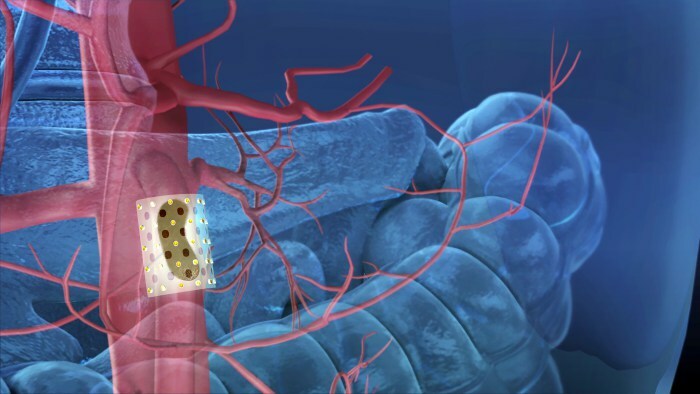 A bio-absorbable, implantable radiation device developed by Durham-based CivaTech Oncology is showing promise in clinical trials as a new way to attack cancers. The company, which developed its CivaSheet with the help of $249,000 in NCBiotech funding, is able to deliver radiation to specific spots in cancer patients while protecting nearby healthy tissue. CivaTech, which has also received grants from the National Cancer Institute, already has one product on the market: CivaString, radiation on an injectable string for treating prostate cancer. Glenmark Pharmaceuticals, an India-based global pharmaceutical company, says it is committed to growing its pharmaceutical manufacturing facility in the Union County community of Monroe, outside Charlotte. Glenmark purchased the 15-acre Monroe site for its first North American manufacturing facility in 2014. The company says it has subsequently invested more than $100 million in the original 102,000-square-foot facility and an adjacent five acres at the Monroe Corporate Center site near the Charlotte-Monroe Executive Airport, with plans for even more future expansion. The Monroe facility is designed to manufacture a variety of fixed-dose pharmaceutical formulations. At peak capacity, the company expects the site to produce 300 to 400 million tablets and capsules, 20 to 25 million vials and prefilled syringes, and 25 to 30 million ampoules for inhaled formulations. A British company with U.S. headquarters in Research Triangle Park has become the first to receive U.S. Food and Drug Administration approval for a prescription drug derived from marijuana. London-based GW Pharmaceuticals and its U.S. subsidiary, Greenwich Biosciences, spent years developing novel therapeutics from their cannabinoid product platform. Now, the FDA has approved EPIDIOLEX (cannabidiol or CBD) as an oral treatment for seizures associated with two rare, severe forms of epilepsy that are notoriously treatment resistant. Greenwich is marketing EPIDIOLEX in the U.S. The purified therapeutic does not have the mind-altering capabilities of marijuana. The North Carolina Biotechnology Center worked with GW to open its first U.S. office in RTP as one of the early tenants of the Biotech Center’s Landing Pad company recruitment program. NCBiotech helped bootstrap Humacyte with a $150,000 loan in 2006. 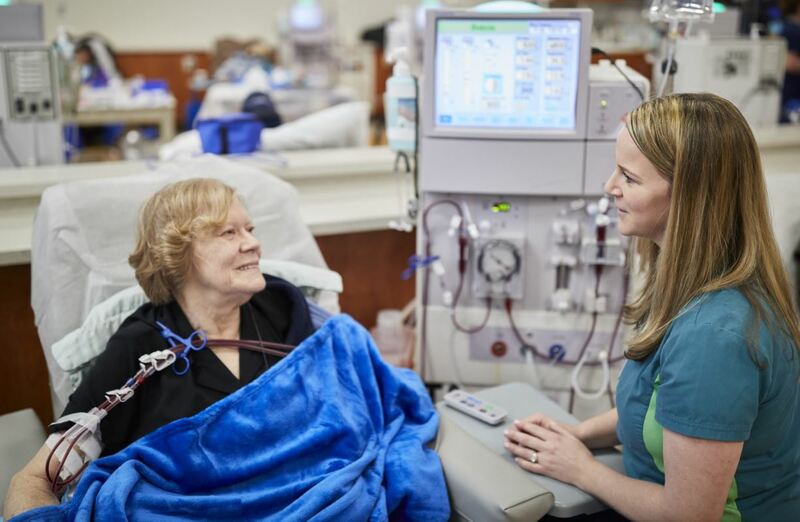 Now the developer of a life-changing bioengineered blood vessel, founded in 2004, has formed a global partnership with Fresenius Medical Care, the world's largest provider of dialysis products and services. The deal includes a $150 million equity investment. And Humacyte has grown to more than 110 employees, with a new bioprocessing facility in Durham. Istari Oncology, a Research Triangle Park biotechnology company started by a world-famous Duke University brain cancer team, has reported rare positive results in early human testing of its experimental treatment using an inactivated polio virus against the deadly brain cancer, glioblastoma. In 2014 the North Carolina Biotechnology Center awarded a $50,000 grant to the Duke University Medical Center that allowed Duke to acquire and contract the manufacture of the therapy from the National Cancer Institute at Ft. Dedrick, Md. Duke’s Darell Bigner, M.D., and Matthias Gromeier, M.D., subsequently founded Istari in 2016 to commercialize that and a broad range of other intellectual property created at Duke. Glioblastoma causes 52 percent of brain tumors, killing about 13,000 people a year in the United States and 18,000 in the European Union. Most newly diagnosed patients die within two years. The early Istari results indicate the treatment increases survival, with two patients still alive after nearly six years and another still living five years after diagnosis. Keratin Biosciences is the product of a July 2018 merger of KeraNetics of Winston-Salem and Microchips Biotech of Lexington, Mass. The company is developing regenerative medicine and drug delivery therapies based on a purified human-derived keratin technology platform. 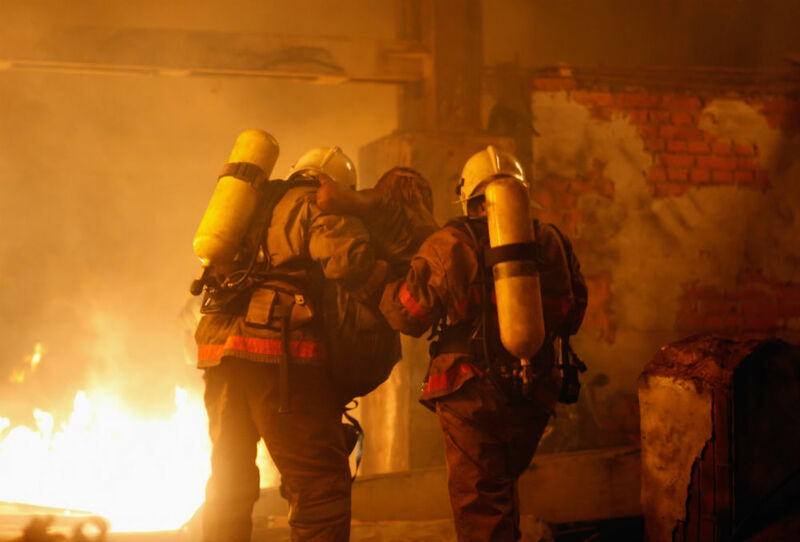 Its products are being designed to promote regenerative healing of complex tissue injuries, skin wounds and other skin conditions. KeraNetics was spun out of Wake Forest University’s Institute of Regenerative Medicine in 2008 and has had research collaborations with Wake Forest and seven other universities throughout the nation since then. The company benefitted from several Industrial Internship and Fellowship awards from the North Carolina Biotechnology Center. Locus Biosciences is a Research Triangle Park gene therapy company developing CRISPR-based “smart bomb” drugs that kill antibiotic-resistant bacteria by selectively destroying their DNA while sparing non-threatening bacteria. It avoids some of the recently publicized complications of CRISPR-Cas9 by using another approach, CRISPR-Cas3 to kill targeted pathogens. The 2015 spinout of North Carolina State University was born with the help of two loans from the North Carolina Biotechnology Center. Three of the four scientific founders of Locus have also received Biotech Center grants totaling more than $300,000. Now Locus is gaining international attention, developing precision antimicrobials that can combat antibiotic-resistant “superbug” bacteria such as such as Clostridium difficile, Pseudomonas aeruginosa and Enterobacteriaceae. Locus recently bought EpiBiome, a young California firm with a high-speed technology platform that will put even more focus on Locus – and on North Carolina as a major gene therapy center. 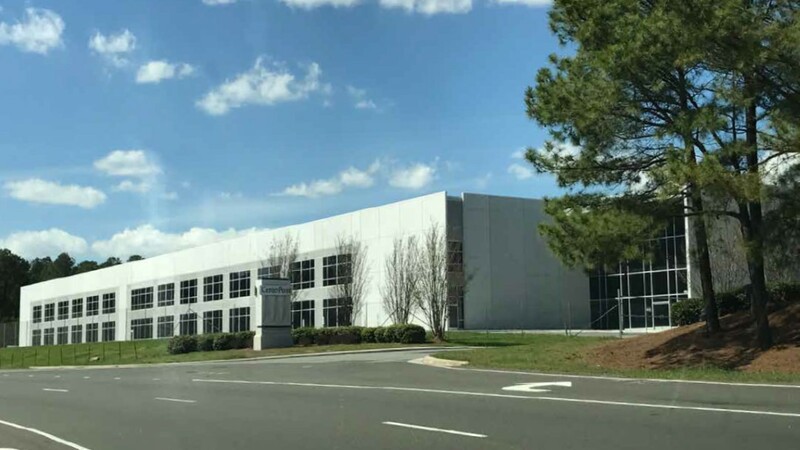 Mayne Pharma Group, an Australian drug manufacturer, continues growing the production plant in Greenville since acquiring the existing facility in 2012. 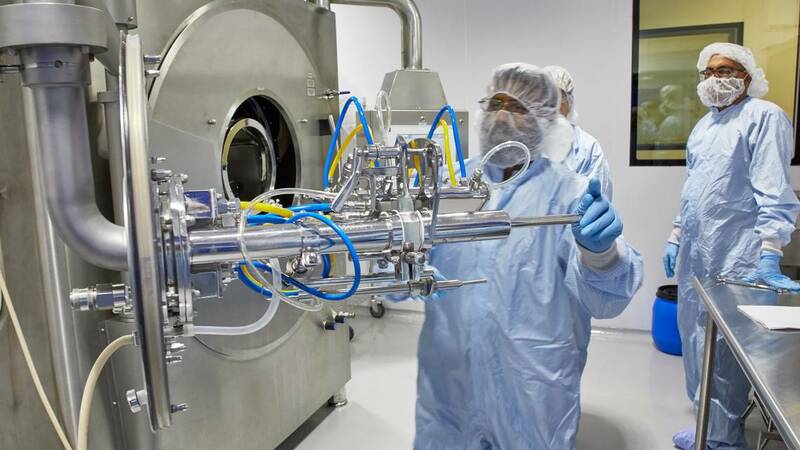 The facility, recently doubled in size with a $65 million addition, specializes in manufacturing oral and topical dosage forms of drugs including highly potent compounds, Schedule II-V controlled substances, inherently unstable compounds and products with poor bioequivalence. It has the capacity to produce over 1 billion tablets and capsules annually. Mayne now employs more than 400 people in Greenville and Raleigh. A former Greenville textile plant is a high-profile example of North Carolina’s transformation from a textile manufacturing state to global leadership in pharmaceutical manufacturing. 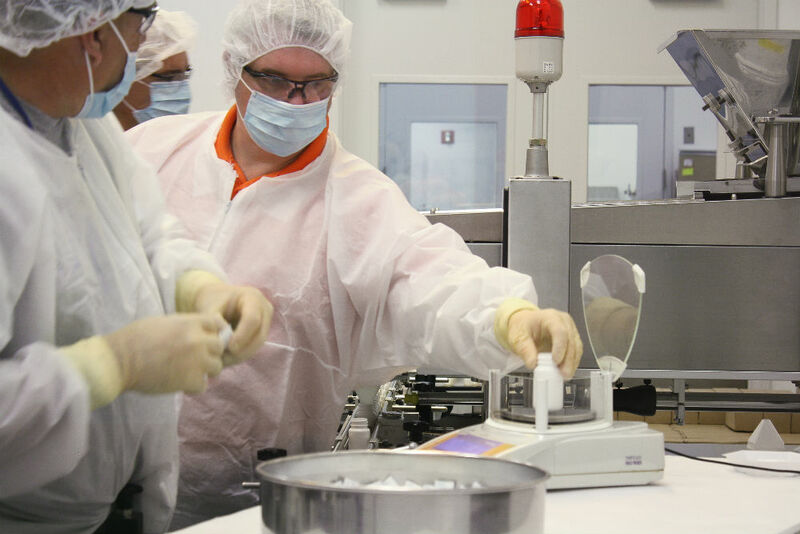 The North Carolina Pharmaceutical Services Network provides hands-on training at both Pitt Community College and East Carolina University to prepare current and newly hired workers in all aspects of manufacturing oral solid dose pharmaceuticals – industry parlance for pills and tablets. The $2 million-plus facility not only benefits pharmaceutical-manufacturing companies in the region, but also stands ready to attract new ones. Pharmaceutical companies in the region have more than $3 billion in capital investment projects planned or under way, according to the Network. We'd love to hear how being a part of North Carolina's life science community has transformed your organization and how your company is transforming life science. Share your transformation tidbit with us.